Moving averages are one of the most popular technical studies. They are relatively simple to understand but can provide deep insight. Used alongside another indicator, like the Trade Triangles, the moving averages can be a great complimenting tool. Moving averages are lagging indicators used to gauge the direction of the current trend. They smooth out the day-to-day price action and allow traders to track and identify trends and find potential support and resistance levels. They also form the base for additional technical indicators, such as Bollinger Bands and the MACD. There are two common types of moving averages, simple and exponential. A simple moving average is calculated as an average of prices over a specific time period. An exponential moving average is similar to a simple moving average, but the calculation reduces the lag factor by placing more weight on the most recent data. Traders can use moving averages to emphasize the direction of a trend. A moving average line that is rising generally indicates an uptrend, while a moving average line that is falling typically shows a downtrend. Moving averages can be used as part of a basic entry and exit strategy by identifying price crossovers. When prices move over the moving average line, a trader could interpret a bullish signal and could buy or cover shorts. When prices move under the moving average line, a trader could interpret a bearish signal and could exit or sell short. While prone to whipsaws, multiple moving averages can also be used together to generate crossover signals and indicate a possible change in momentum. Typically, a shorter time frame moving average and a longer time frame moving average are used to find “golden crosses” and “death crosses.” A “golden cross” occurs when the shorter time frame moving average moves above the longer time frame moving average and could indicate a rising bull market. A “death cross” occurs when the shorter time frame moving average moves below the longer time frame moving average and could indicate a falling bear market. Moving averages can also act as and identify areas of support and resistance. Oftentimes, market prices will reverse direction around the same level as an important average. Once market prices fall below that level of support, the average can then act as resistance. Generally, in an uptrend, moving averages will act as support and in a downtrend, they will act as resistance. 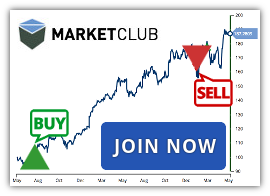 MarketClub members can find this study in the On-Chart list in your customizable charts. 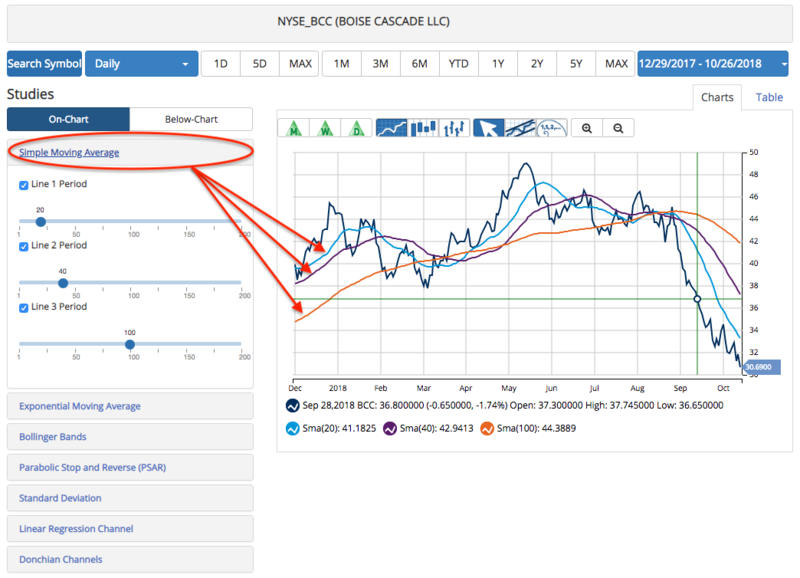 Join MarketClub to test our charts and practice reading the moving averages.